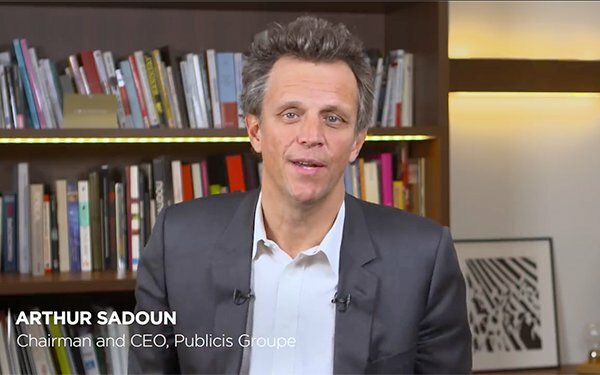 Publicis Groupe has struck a deal to acquire data-driven marketing agency Epsilon for $4.4 billion. Epsilon is a major player in people-based precision marketing in North America, with approximately 9,000 employees, including 3,700 data scientists and 2,000 Bangalore-based technology delivery members. Last year the company generated $1.9 billion of net revenue, 97% in the U.S.
With Epsilon at the core, Publicis claims it will now become the first player to offer a "unique end-to-end service" that will result in enhanced growth of its existing businesses while opening up new opportunities. This will happen in primarily three categories, according to the company. On the creative side, Epsilon assets will enable the Groupe to further adapt real-time context with customers. On the media side, the connection between Epsilon’s data sets and Publicis Media’s touchpoints will build consumer IDs, segment audiences and maximize media-buying ROI by more accurately measuring and optimizing campaigns in real-time. For the digital transformation side, Epsilon will allow Publicis to deliver deeper customer insights to further optimize clients’ business models. Conversely, Epsilon’s performance, which has lagged in recent quarters, will be bolstered by Publicis’ client portfolio and global reach to expand further into the U.S. and overseas. Publicis also intends to replicate the success of Epsilon’s unique auto platform to other verticals, such as health, financial services, telecommunications, and retail. The company will continue to be led by CEO Bryan Kennedy, who will be joining the Management Committee of Publicis, and report to Publicis Groupe CEO Arthur Sadoun. This is the first major Groupe deal under Sadoun's leadership. Sadoun told MediaPost in November 2018 that the Groupe's client-win percentage has ramped up 17 percentage points with accounts that place creativity, data and technology as the core platform. "Our biggest challenge right now is accelerating our game-changers. Today, our offering of personalization at scale by linking of data, creativity and technology represents about 10% of our revenue, but it’s growing at 27% and is at the origin of most of our new business wins. "The challenge is: how fast can I scale our game changers to see that kind of growth all over our business?" Today, Sadoun states: “The only response is to deliver personalized experiences at scale. They have to transform to meet this new market imperative." Publicis Groupe Supervisory Board Chairman Maurice Lévy weighed in, noting that "the price is fair." He added: "For our shareholders the transaction, which was not planned, has great merits from a financial point of view." Lévy added that the board of directors "has been convinced by the approach of the Directoire and [Sadoun], on the integration. The plan is reasonable and should lead to a seamless integration with great potential in growth and cost synergies." This deal follows the moves of holding company rivals to up their precision marketing capabilities. Last year, Interpublic spent $2 billion to scoop up Acxiom Marketing Systems, while Dentsu Aegis purchased Merkle in 2016 for a reported $1.5 billion. Still, some analysts have questioned whether Publicis is overpaying for this company, particularly because Epsilon’s revenues have dipped recently, in addition to integration challenges. Publicis Groupe officials will have an opportunity to address those concerns when it reports its first-quarter 2019 earnings on Wednesday. 1 comment about "Publicis Groupe Agrees To Acquire Epsilon For $4.4 Billion". Peter Rosenwald from Consult Partners, April 15, 2019 at 4:33 p.m.
You got the gem of the data-driven marketing business.